The Sunland Golf Club is asking for financial help from the Sunland homeowners again. Have you ever felt like saying, “Here we go again?” Back on January 27, 2010, over eight and a half years ago, I wrote an article entitled Is the Sequim Sunland Golf Course Going Bankrupt? Why that title? Because the rumor mill in Sunland was asking that question, and the local newspaper was asking that question, and everyone was getting nervous. I called the club manager and told him I was writing an article and wanted to make sure I had all the facts correct, and he refused to talk to me and said goodbye. So I wrote a very carefully researched article, interviewed the Sunland HO President and a couple of other involved Sunland residents, and I read the newspaper articles and gathered information about the golf club. That resulted in the article I wrote in 2010 about the Sunland Golf Club. On April 10, 2012 I wrote an updated article in which I stated that it appeared that things had calmed down and the club was doing okay. I’m revisiting the subject today, because we are back to the Sunland Golf Club asking the Sunland HO Association for money. The idea being floated is that every homeowner be assessed an additional $300 per year to help the club survive. [Fred Smith, President of the SLHOA, reports that the proposed assessment is $354 over three years.] This is far more serious than most people realize, because in the attempt to get homeowners to agree to an increased assessment is a hidden threat. The threat is the power of foreclosure. As assessment is not voluntary, and if you don’t pay an HOA approved assessment, they can get a judgment against you, and a judgment can be used to foreclose on a home. I know this because I was an attorney in Sequim. Golf on the Olympic Peninsula is a golfer’s dream. 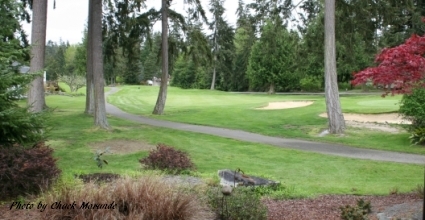 Golf courses on the Peninsula have two major advantages over golf courses in the Seattle area. The first is the rain. Sequim gets one-third the rainfall of Seattle. Serious golfers love the weather on the Olympic Peninsula. The second blessing on the Peninsula is no crowds. I took this photo of a golf course near Port Townsend recently, and just look at the crowd! This may be one of the best kept secrets of the Olympic Peninsula. I’ve written about Sequim Golf Courses, and what beautiful courses Sequim has. The Cedars at Dungeness is definitely one of the best of the Sequim golf courses. It is a year-round 6,610-yard, par 72, 18-hole Championship course. It is actually the driest course in Western Washington, and that includes all the Seattle area courses. This allows The Cedars at Dungeness to host a number of Pro and Pro-Am tournaments throughout the year. 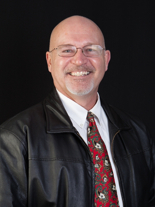 If you are an avid golfer, and you are considering the Sequim area or Port Townsend area as your retirement destination, email me at ChuckMarunde@gmail.com or call me at 360-775-5424, and I’ll be delighted to show you around and view some potential homes. The Sunland Golf Course has been a topic of conversation for a couple of years among retirees moving to Sequim. 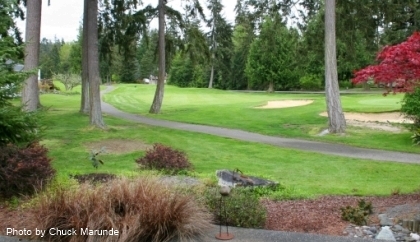 Sequim has some great golf courses, and Sunland is one of them. 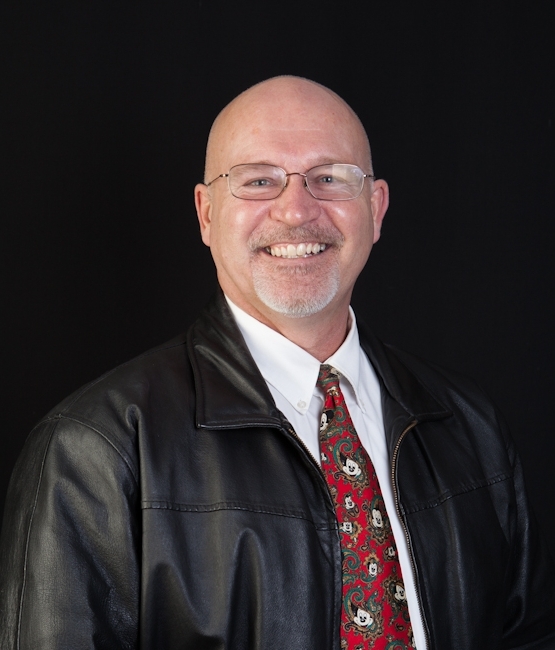 I received these insightful questions from a client recently and decided to share the questions and answers with others who may be curious about the Sunland Golf Course. Question. I have a question about Sunland. I think it would be a pleasant place to live but many of the properties are a bit older and could use a refresh. However, I’ve also read that golf course communities are not in as much demand as they had been so I wonder if one could expect folks to buy these older properties and fix them up. Or is the “bloom off the rose,” so to speak, for communities like Sunland? I know this question is impossible to answer and one can only speculate. Still, I wondered what you think is in the cards for Sunland? Thank you for your help and responsiveness. I hope everyone in Sequim is as friendly and welcoming as you seem to be! Sunland Golf Course Issue Dead? Here’s my take on homes in Sunland now. Because of the recession, and because buyers have apparently been concerned about the golf course issues in Sunland, buyers have been few and far between for homes in Sunland. As of today, there are 42 homes for sale in our MLS in Sunland (north and south), and 14 have been on the market for over 300 days. But when I look at how many homes in Sunland have sold above $200,000 in the past 12 months, I see there are 23. That’s not bad. But I do think prices have come way way down from where they were, and buyers are now finding some of the best bargains in all of Sequim in Sunland. In my opinion, there is no issue of concern with the Golf Club for homeowners, and the homes are bargains right now. It’s true that many of the homes are old enough now so that they can use some upgrades, especially in the kitchen, and some maintenance work, but most retirees in Sunland have kept up on major maintenance and most of the homes are in excellent condition. The Sunland Golf Course is always kept immaculate, and is beautiful, so this is still a huge attraction, and for retirees who like the area and don’t mind a small lot with houses close together, I would definitely include Sunland as a great place to live. 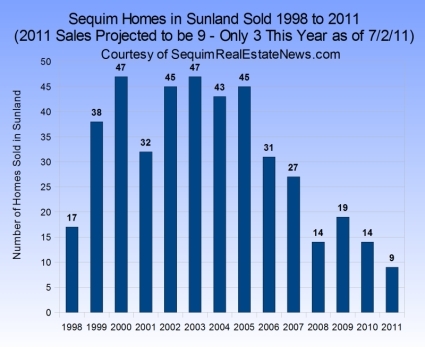 There will be a market for homes in Sunland for many years to come. Golfers tend to be passionate about golf, and there’s no doubt that there will be many golfers moving to Sequim in the coming years. Stopping golfers from playing golf would be like stopping gravity. Not going to happen. So Sunland remains popular, especially to golfers. On the other hand, over 85% of the Sunland residents do not play golf but live there because of the ambiance and the community. Sequim will continue to grow. It is a haven for retirees all over the country, and the volume of emails and inquiries I get from people planning to retire one, two, and five years from now is amazing. 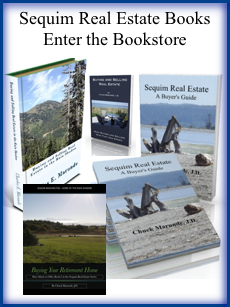 I would encourage any buyers looking carefully at Sequim to include homes in your search in the Sunland community. The Sunland Golf Course is a beautiful setting even if you don’t play golf. Sequim golf courses are one of the reasons so many retired professionals move to Sequim. The Cedars at Dungeness is located in Sequim on the beautiful Olympic Peninsula in Western Washington, and is a gorgeous course as you can see in this photo. This is definitely one of the best of the Sequim golf courses. It is a year-round 6,610-yard, par 72, 18-hole Championship course. It is actually the driest course in Western Washington, and that includes all the Seattle area courses. This allows The Cedars at Dungeness to host a number of Pro and Pro-Am tournaments throughout the year. 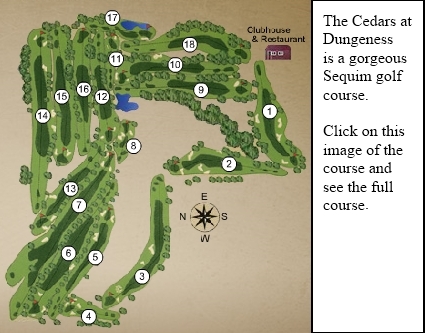 Find out more at The Cedars at Dungeness and you can see the course by clicking on this course map below. 12 miles from the center of Port Angeles. 2 miles from the center of Sequim. 1 mile from the center of Port Angeles. 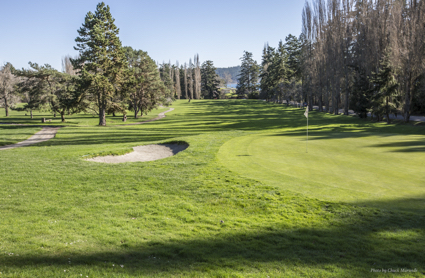 Sequim golf courses are in the famous Sequim rain shadow, so you’ll enjoy sunshine while you play . . . most of the time. 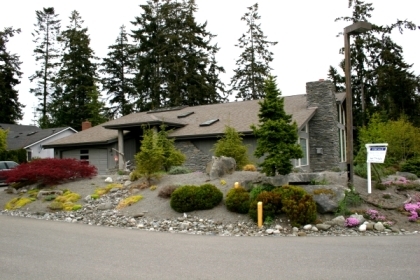 If you’re considering retiring to Sequim so you can play regularly at one of our beautiful Sequim Golf Courses, please take a look at this Sequim Waterview Home for sale. Be sure to watch the video tour, because the owners give you their own tour of one of the most beautiful homes in the entire Sequim area. There are two things I would add to this discussion. The first is that this whole thing has been a public relations disaster for the Sunland Golf Course and for the community of Sunland. This is obvious I know. Something like this can cause so many hurt feelings in the community, so much ill-will, and we all know that issues like this that affect so many people (844 Sunland residents and all the homeowners in Sunland who have had their homes for sale and the prospective buyers) develop a life of their own that can take years to slowly fade away. The art of public relations addresses potentially difficult issues proactively, rather than let them get out of control and cause far more problems than the original concern. Public relations involves knowing when there may be a hot issue, understanding human behavior (and when an issue may adversely affect people), understanding effective sales and marketing (presenting facts and issues with a positive perspective), and knowing how to be persuasive with humility. Honesty is always the best policy. We’ve all seen politicians violate these values and principles and end up resigning even though the original transgression would have been forgiven. Unfortunately, when many keep saying, “nothing has changed,” that does nothing to allay the fears of potential buyers, and the real people who get hurt are the Sunland residents who have been trying to sell their homes. In a real estate recession, it doesn’t take much to scare buyers away. Any uncertainty about the future of the Sunland Golf Course can scare buyers away. It seems to me that there still is no one on top of public relations here. PR is an important part of promoting any community or golf club. Neither the Club nor the homeowners’ association have taken up the obvious need for a PR campaign on this whole subject. That’s too bad. Perhaps I’m the only one doing that by suggesting that this whole issue is behind us. Home sales in Sunland have dropped substantially, and only three homes in Sunland have sold in the first six months of this calendar year (2011) according to data from the Olympic Listing Service. I would not blame this on the Golf Course issues, but buyers have raised these issues every time I’ve shown a home in Sunland, and I was not the one to bring the issue up first. Buyers learned by talking to other people. In my opinion this is a good time to buy a home in Sunland. As of this writing, there are 43 homes listed for sale in Sunland and all its divisions. You can go to this link and see all the Sunland Homes for Sale. I have been telling buyers for the last year that they do not need to be concerned. I continue to tell buyers that, and I am saying it again here. The Sunland community continues to be one of the most beautiful little communities in the entire Sequim area on the Olympic Peninsula, and if you’re an avid golf enthusiast, you could not find a better opportunity than now to buy a home in Sunland in this incredible buyer’s market. The golf course is gorgeous and well maintained–there’s never been a doubt about that. 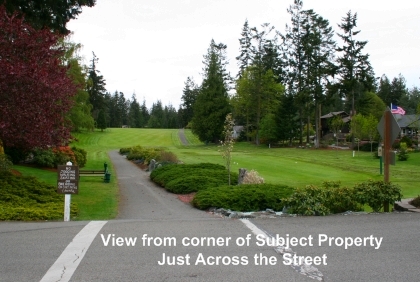 Read another updated article about the Sequim Golf Course Financial Issues with comments. You can learn more about the course at Sunland Golf Course, and you can read more about the community at Sunland Homeowners Association. I hope this article about the Sunland Golf Course has been helpful. There are several Sequim golf courses, but one I think stands out is The Cedars at Dungeness, which is located in sunny Sequim, Washington. This great course is is a year-round 6,456-yard, par 72, 18-hole Championship course. Here we are in February, and the Sequim golf courses are busy. The Cedars at Dungeness is playable all year long as are all the Sequim golf courses. Compare our 13 inches of annual rainfall with Seattle’s 38 inches. No wonder this is a great destination golf course. From the first hole (“a short dogleg left is a great starting hole”) to the 18th hold (“This is one of the best finishing holes in the Northwest. Aim your tee shot at the Totem Pole just left of the clubhouse. This will give you the best angle to the green. Hit it right and you’ll have no chance to make par. Add at least one club to your selection for your approach to this elevated green. The green slopes back to front.”) this is a great way to spend your day. No doubt. Of all Sequim golf courses, this is the one you’ve got to play. You can jump up on the golf course web site at The Cedars at Dungeness. Sequim golf courses are some of the best in the state. The quality of life in Sequim is one of the biggest reasons so many people retire here from all over the United States. Much has been written about our Rain Shadow, about our recreation (hiking in the Olympic Mountains, kayaking and sailing, bicycling, surfing and water boarding, fishing, golfing, walking and jogging on the Olympic Discovery Trail, camping, sightseeing around the Olympic Peninsula), and the gifted retirees who have formed just about every club and hobby group you can imagine from the common to the esoteric. A big part of the quality of life is affordable housing in a location that you love and find peaceful. Sequim has that, whether it is a water view or a mountain view you want, or even if you prefer to be tucked in a valley up in the mountains. 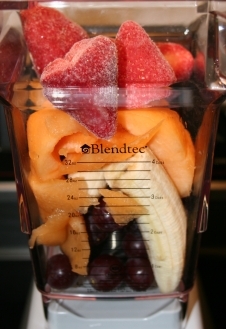 This morning I ran five miles through Robin Hill Park and down the Discovery Trail, and when I got back to the house I blended a very healthy fruit smoothie with a little protein powder. It looked so darn pretty, I could not resist taking this photo. Then I go to work for the balance of the day. I love living in Sequim. The quality of life would be hard to beat anywhere. The Sequim Sunland Golf Course is very popular, and Sunland as a subdivision of nice homes in a beautiful residential community is a strong pull for southern California or Arizona residents considering retirement here. 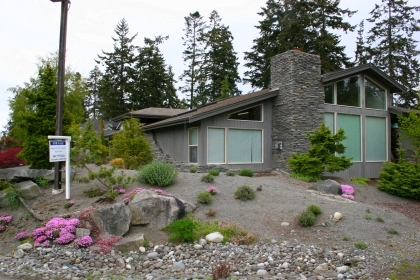 Here’s a great example of a custom home for sale right on the golf course, and I’ve included photos so you can get a vignette of this Sequim community. This is a stunning custom built home on the golf course. It’s a corner lot on the 17th green. The kitchen has granite, Corian and butcher block counters, a propane cook stove for the chef of the house, a custom bar you’ve got to see, 3 fireplaces, very high ceilings, a huge master suite with a walk-in double custom shower. There’s a guest room with an outside entrance off the back deck near the hot tub. There are two bedrooms plus the guest room. This is one of the highest quality custom homes in Sunland, but it’s priced to sell in the current market at a price that would be hard to replace if you had to build it, $439,000. The seller will consider helping to buy down the interest rate for you by paying some loan points, but don’t wait too long if you are buying, because interest rates are going to continue a steady upward trend. Sequim Golf Course. 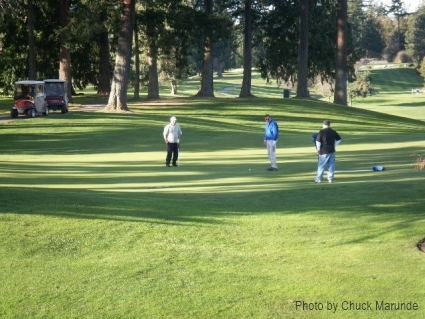 Play this 6,456 yard, 18 Hole Championship Golf Course year-round in beautiful sunny Sequim weather. Here’s a quote from a local golf course promotion, “The Cedars at Dungeness is the driest round of golf in Western Washington. Compare our 13″ of annual rainfall to Seattle’s 38″, Palm Springs’ 17″ or Pebble Beach at 27″. 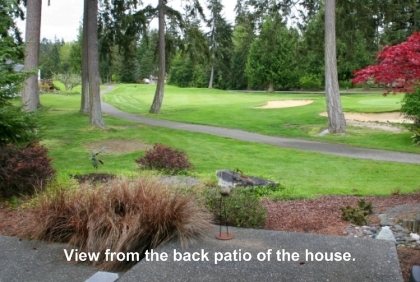 We offer superb course conditions, a grass driving range and great views of the Olympic Mountains. With four sets of tees to choose from, you’re sure to enjoy yourself whatever your skill level.” Sounds great, because it is. I took this photo yesterday (March 31st), and it was a beautiful day for golfing. Sequim golf courses are in the famous Sequim rain shadow, so you’ll enjoy sunshine while you play . . . most of the time.